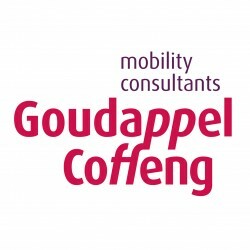 Goudappel Coffeng has 50 years of experience in cycling-inclusive mobility engineering in a country, The Netherlands, where mobility really matters. We are the oldest and by far the biggest knowledge centre on the subject in our pathfinding country, with over 200 employees. We are specialized in ‘just’ one thing: mobility and therefore improving urban performance. Our services and tools cover all aspects of cycling inclusive transport planning and urban design. We have offices in cycling cities like Amsterdam, The Hague, Deventer and Utrecht and operate worldwide. Our role in a project is twofold. First we inspire and sharpen interventions with strategic workshops, concept studies or second opinions. Our MoveMeter is a powerfull tool. During elaboration of the plan we typically are the 'back office' for local partners for quality assurance and knowledge transfer on Dutch experience (like road profiles). Both proved to be effective modes of operandus. Adding Goudappel to your project is adding a proven catalist for more urban performance.